Had a very fun weekend ( Thursday was included as weekend to me lololol ) and totally love everything that happened! 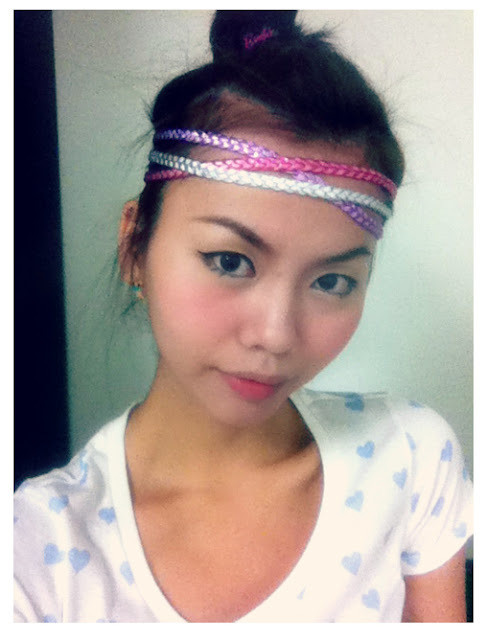 Had a short trip to Port Dickson then KARA Meet & Greet session then romantic dinner at TGIF then MTV World Stage 2012! It's already summer isn't? 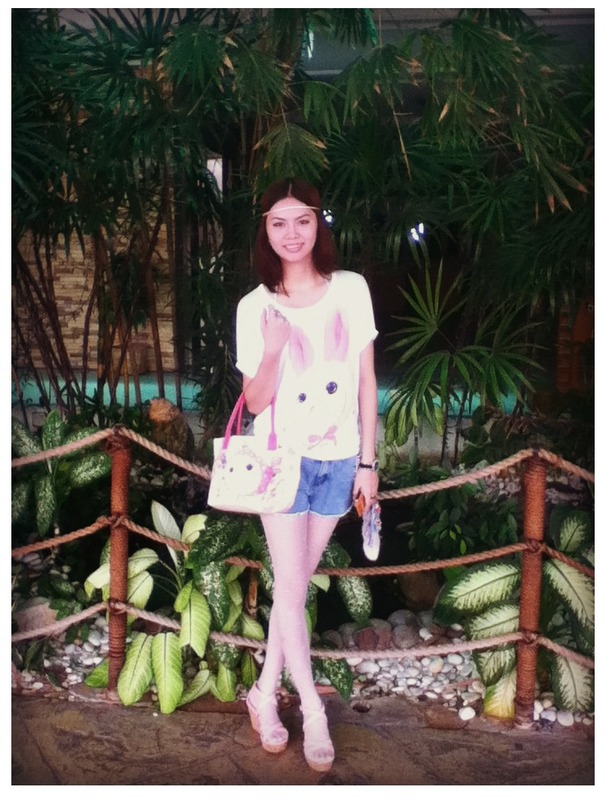 All the hot weather and outdoor events happening lately and denim shorts are definitely IN! Bought two denim shorts in one week and I love them so much! One is embedded with pearls and beads around the pockets ( can't see it in these pictures lol ) and one is kinda like acid wash.
Choo Choo Cat top and bag hahaha. At the Sunway Hotel waiting to meet KARA! MTV World Stage Day. Hot day it is~! 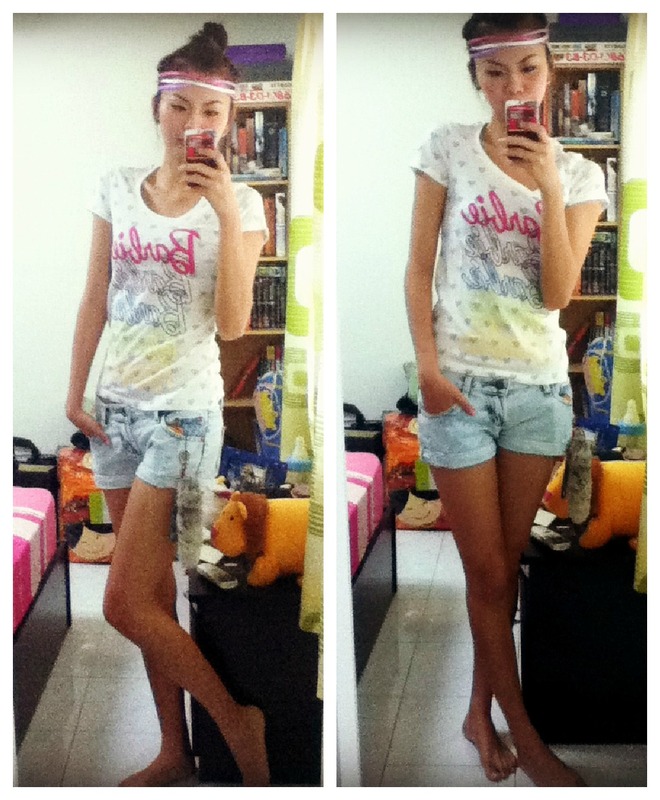 Rock on the Barbie UT from UNIQLO and low waist acid wash denim shorts. A piece of apparel can have a very long description isn't? Haha. 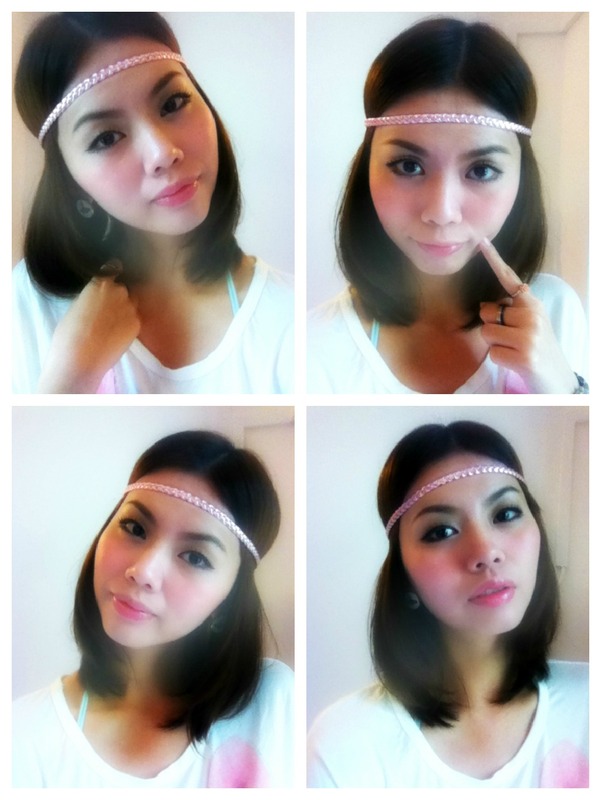 Eyebrow, white eyeshadow as hight light around the inner corner of eyes. 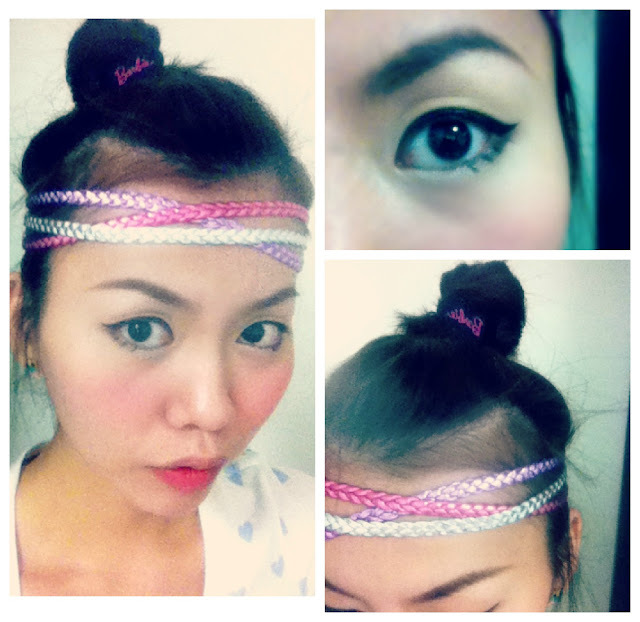 Neko style eyeliners and blusher. Purposely drew some lines fake lower lashes, add some cuteness due to lack of mascara. lol. 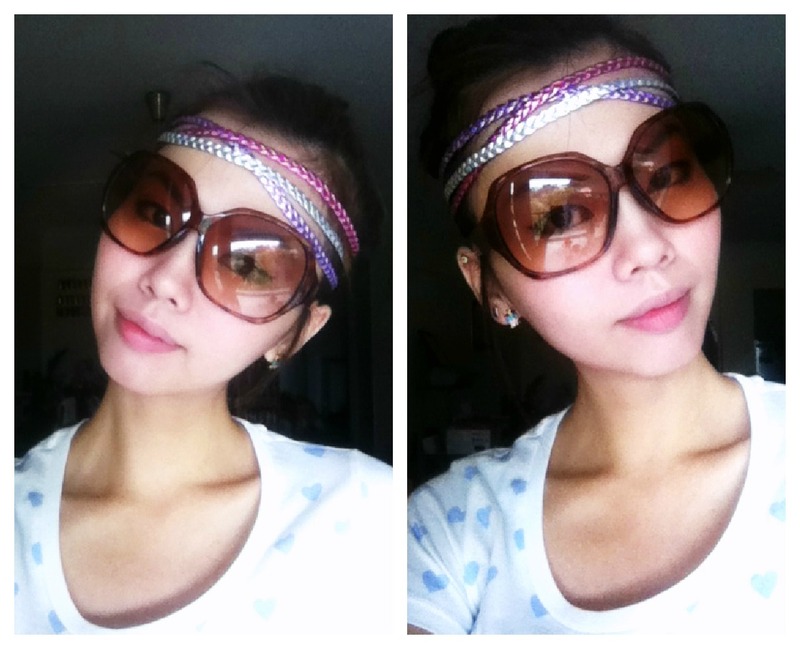 Daiso RM5 big size sunglasses.